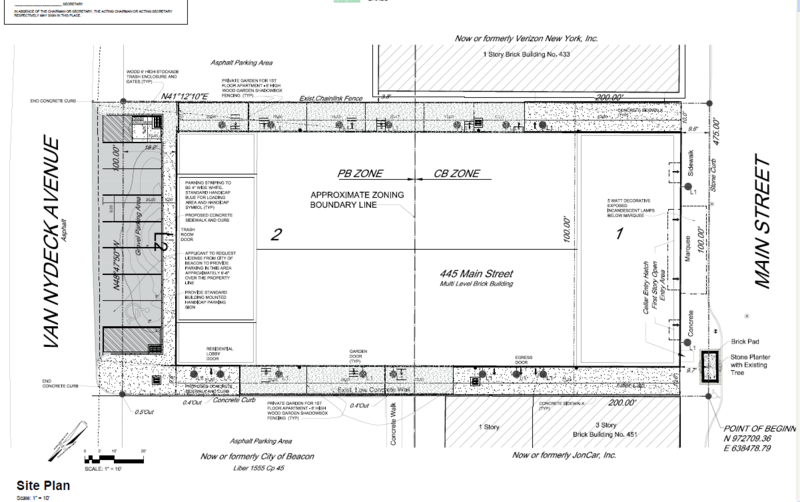 Last month the planning board entertained a first look at the developer’s proposal for the Beacon Theater, at 445 Main Street, which included 32 apartments and a room on the second floor designated as a space for performances. Tonight’s planning board meeting will officially open the public hearing on application for site plan approval, allowing for public comment. The planning board will meet tonight, Tuesday, November 10th, at 7pm, 1 Municipal Plaza (aka city hall). If you are planning to speak, remember that the protocol is to sign in at the beginning of the meeting. You will also be asked to state your name and address when you step up to the podium. At a meeting several weeks ago at Beahive, a number of concerned citizens showed up to hear about the plans as presented to this point. The meeting was coordinated by BeaconArts, Beacon City Arts, and the Beahive. Judging from the attendance, we would recommend anyone preferring to sit arrive early tonight. Last Thursday, Wigwam Radio spoke about the theater situation with Terry Nelson, the founder and executive director of the Beacon Independent Film Festival. The show will be archived shortly, and will also be rebroadcast on The Ground Radio Project this Thursday, November 12th, at 8pm. 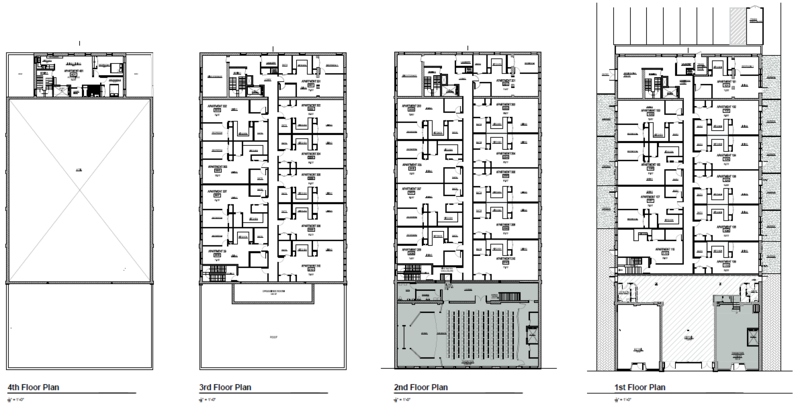 The Applicant is proposing 2,722 SF of commercial space on the ground floor in two separate units, 2,625 SF of multipurpose performance space on the second floor with a 825 SF lobby on the first floor and 32 residential apartments on the first through fifth floors. The property is located at 445 Main Street within the Central Business (CB) and the Business Off-Street Parking (PB) zoning districts. While lot consolidation sometimes makes sense, it doesn’t in this case. 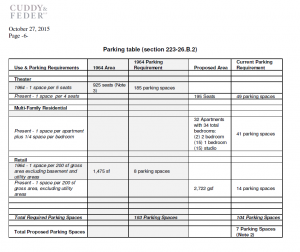 These lots have been treated separately for many years. 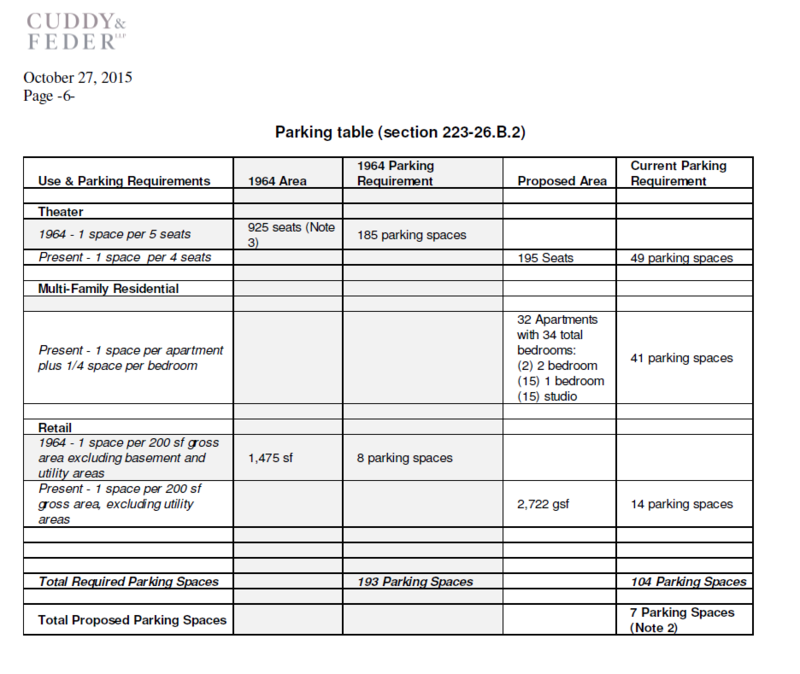 Past municipal permits, including variances, have been issued for the separate parcels. A lot consolidation would confuse the historical record. Additionally, the separate parcels are appropriate in this case since the buildings on the two lots are distinct and separate buildings with a true fire wall between. Other than a shared egress stair, the buildings will not be interconnected in any way operationally. Finally, the continued existence of the two separate lots is important for financing purposes with respect to the two separate buildings. Because of all these factors, there is no compelling reason for lot consolidation in this case. 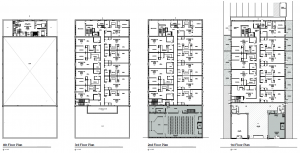 A 1988 variance that goes along with the sale of the building allows for 32 apartments to be built. Due to the vagaries of the city’s parking requirements, this building ends up with a parking space requirement of… zero. The city has had numerous opportunities to institute a citywide parking plan and make the appropriate zoning amendments. Too late now. 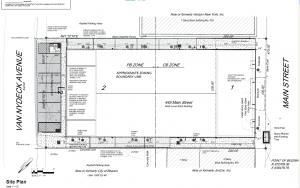 The developer is proposing a total of 7 spaces, wedged along the back of the building. Additionally, there will be a “bicycle parking room” on each floor. 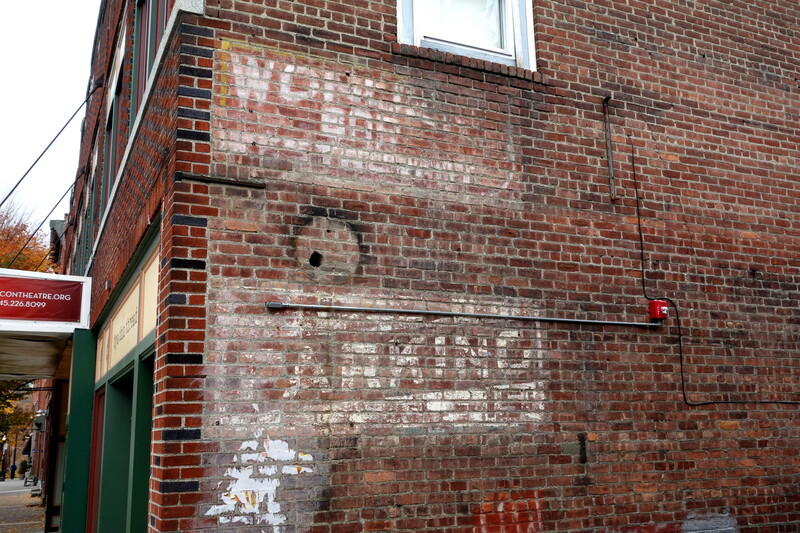 The Wonder Bar charged 15 cents for parking 75 years ago. The current theater type space as presented has no wings and no back stage. The elevator opens into the performance space. The dressing booth is on the roof. I will be unable to attend the meeting tonight as I am out of town until tomorrow afternoon, so I will log a comment here in the hopes that it carries itself into the public forum tonight. It is hardly a secret that parking all over beacon is a pathetic state that really hurts businesses like mine. 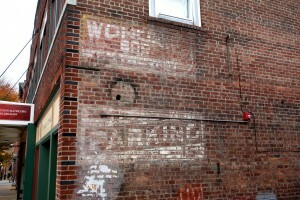 (The beacon bagel at 466 main st). I have heard all of te empty promises made by our governing body to address the situation and the lame excuses after no improvements were made. I think that if the city allows this to happen without any means of addressing the lack of enforcement of the existing two hour parking rule (a rule which Brendan and Bob McAlpine will themselves break five days a week as they have since moving their business operations to beacon), it will be a Chrystal clear sign that they care not a bit for the small businesses that struggle with this reality. I will continue to look outside beacon for a city that supports it’s homegrown small businesses and move my operations when I do. Hi Art. Parking is a problem, and the city has dragged its feet for many years. It needs to be addressed comprehensively, now. Building a parking lot with $1,000,000 of tax payer money for 45 cars for people to use for free is not the answer. One part of the solution is to charge for parking. Study after study has shown that this benefits businesses on Main Street and also brings in revenue for the city. More on this soon. This is only the first public hearing, so you will have plenty of opportunity to speak in upcoming months.